The Milwaukee branch of the NAACP has functioned as one of the city’s leading civil rights organization since 1919. Led for its first half century by prominent middle-class African American professionals, including Wilbur Halyard, Ardie Halyard, and James W. Dorsey, the local chapter battled racial discrimination in employment, housing, education, entertainment, and policing through political lobbying, legal intervention, and direct action protest. The chapter successfully challenged WTMJ-TV to drop the Amos ‘n’ Andy program in 1951 because of the stereotypical depictions of African Americans. That year it was also instrumental in establishing the Wisconsin NAACP branch. 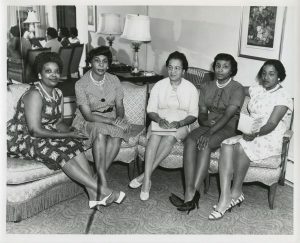 In the 1960s, the chapter took on a more prominent public role. Wisconsin NAACP President Lloyd Barbee moved to Milwaukee in 1962 to focus on ending discrimination in Milwaukee Public Schools, led boycotts and protests against discriminatory board policies and filed suit against the School Directors in 1965. Between 1967 and 1968, Father James Groppi and the Youth Council of the NAACP led more than 200 marches in support of open housing legislation. The protests drew national attention and influenced the common council’s decision to pass a fair housing ordinance in 1968. Other prominent campaigns included joining with other community groups in the early 1980s to help the families of Daniel Bell and Ernest Lacy, innocent men killed by Milwaukee police in 1958 and 1981 respectively, win legal settlements. Recently, the MNAACP has been instrumental in federal legal challenges to voter ID legislation in Wisconsin. 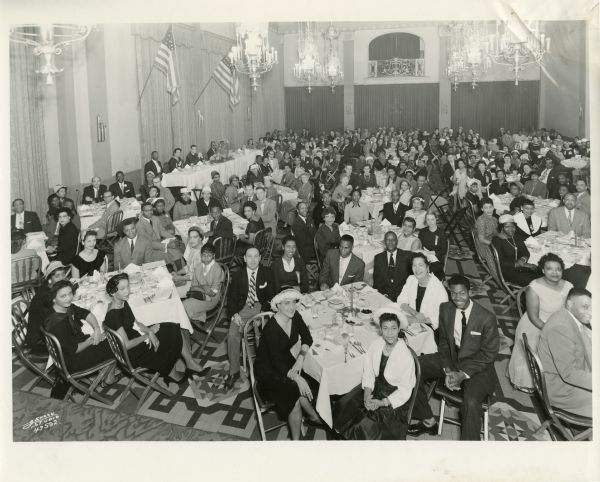 ^ Wisconsin Historical Society, “Biography/History,” National Association for the Advancement of Colored People, Milwaukee Branch: Records, 1917-1989, accessed March 8, 2014. ^ Jack Dougherty, More than One Struggle: The Evolution of Black School Reform in Milwaukee (Chapel Hill: The University of North Carolina Press, 2004), 34; “Local NAACP Legend Recalls 7 Decades of Struggle,” The Milwaukee Journal, September 12, 1984, 13. ^ Jack Dougherty, “African Americans, Civil Rights, and Race Making in Milwaukee,” in Perspectives on Milwaukee’s Past, ed. Margo Anderson and Victor Greene (Urbana: University of Illinois Press, 2009), 142; “The 200th March,” Timeline, March on Milwaukee Civil Rights History Project, accessed March 8, 2014. ^ “Common Council Passes Fair Housing,” Timeline, March on Milwaukee Civil Rights History Project, accessed March 8, 2014. ^ Mark Ward and Walter Fee, “Council OKs Lacy Settlement,” The Milwaukee Journal, October 1, 1985, 1; “Nabors, Allies Push Bell Fight,” The Milwaukee Journal, part two, September 5, 1982, 4; Patrick Jones, The Selma of the North: Civil Rights Insurgency in Milwaukee (Cambridge: Harvard University Press, 2009), 33; Scott Anderson, “He Lived 3-5 Minutes: Lazachek,” The Milwaukee Courier, July 18, 1981, 1; “Groups Split over Voter ID Decision,” Milwaukee Journal Sentinel, July 31, 2014, accessed August 4, 2014. Bell White, Sylvia. Sister: An African American Life in Search of Justice. Madison: University of Wisconsin Press, 2013. Dougherty, Jack. “African Americans, Civil Rights, and Race Making in Milwaukee,” in Perspectives on Milwaukee’s Past, edited by Margo Anderson and Victor Greene, 131-161. DeKalb, IL: Northern Illinois University Press, 2009. Dougherty, Jack. More Than One Struggle: The Evolution of Black School Reform in Milwaukee. Chapel Hill: The University of North Carolina Press, 2003. March on Milwaukee Civil Rights History Project. University of Wisconsin-Milwaukee Libraries. Trotter, Joe William. Black Milwaukee: The Making of an Industrial Proletariat, 1915-45, 2nd ed. Urbana: University of Illinois Press, 2007 (Urbana, IL: University of Illinois Pres, 1988).